I won't be selling clothes this year as I just made a big move and sadly gave away most of them! However, I will be in attendance, and socializing with these lovely ladies. Last year, if you came, you probably remember how crazyyyy hot it was! 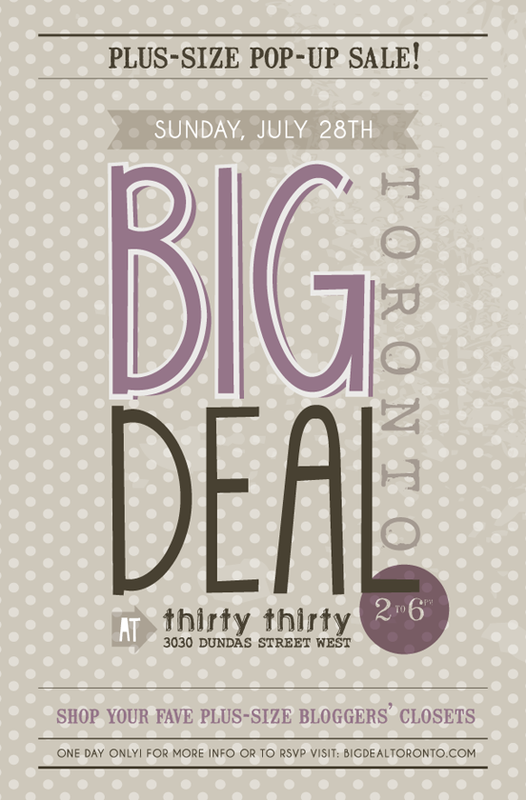 This year BIG Deal Toronto is being hosted at 3030 Dundas Street West, there will be more space, AC and bevvies (of the adult variety) available! 2nd Annual BIG Deal Toronto I would attand it second time. I really enjoyed it. Check toronto airport limo service. I visited this and found excellent.